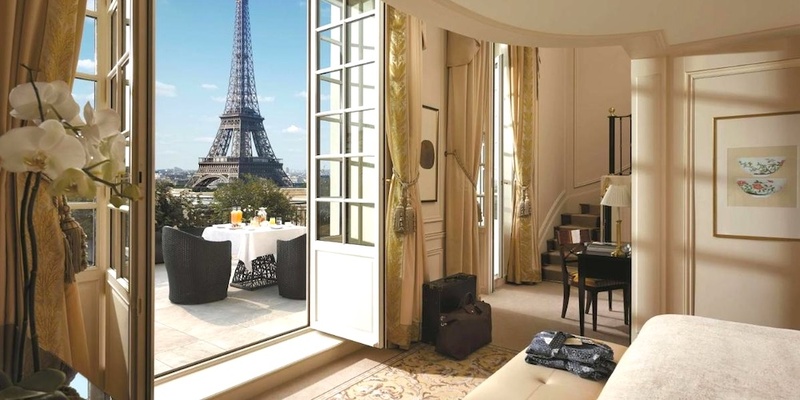 Shangri-La Paris was the first new hotel in France to be awarded Distinction Palace — the highest designation possible. 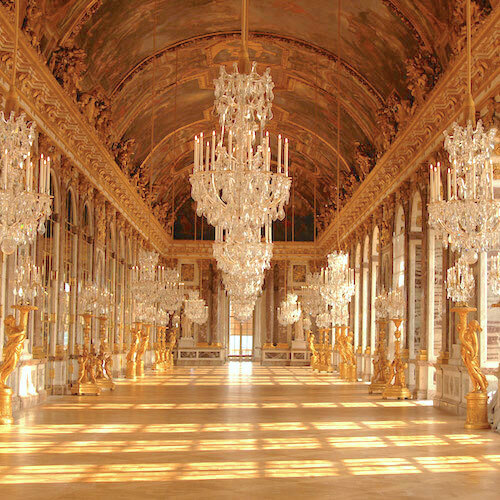 According to the official French government hotel rating organization a Palace "must have exceptional qualities that embody French standards of excellence and contribute to enhancing the image of France throughout the world". Representing France to the rest of the world is a pretty big burden. 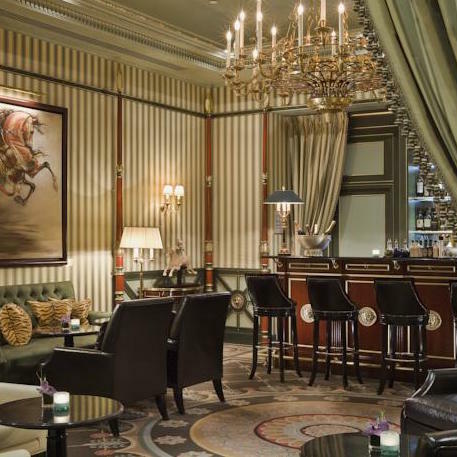 But the Shangri-La Paris pulls it off with style and a perfect blend of Asian and European sensibilities. The Shangri-La also receives our highest hotel rating, Superb-Plus! It began life as the mansion of the grand-nephew of Emperor Napoleon III. (The nephew, by the way, was broke, but he wisely married a rich woman and used her money to build the mansion.) 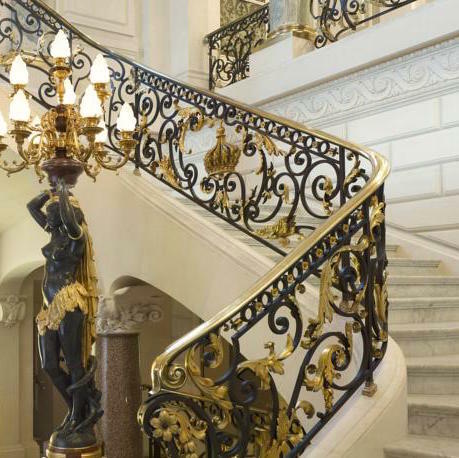 The mansion was completely restored for the Shangri-La Hotel, preserving many of the historical details, to be reminiscent of life during the period called the Belle Epoque. 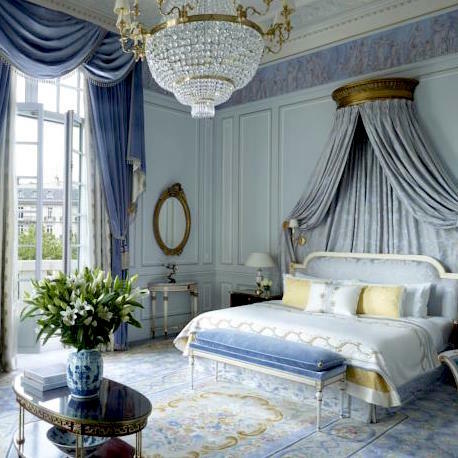 Designer Pierre-Yves Rochon used period photos of the Palais as well as documents from archives to restore or recreate many details from the era. But of course with all modern amenities and comfort. The hotel opened in December 2010 and became an instant classic. Not many new hotels can make that claim. You'll be well taken care of, that's a given. The staff at the Shangri-La are there to meet your needs, and that's clear from the moment of your arrival. 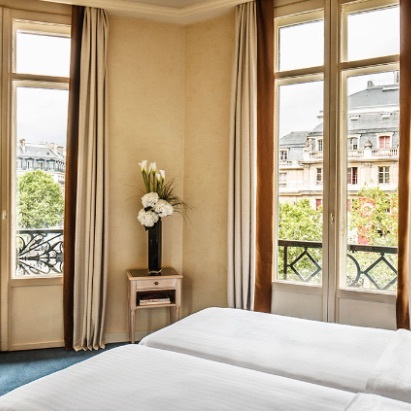 The rooms are generously-sized for Paris and many of them are suites. In the bathrooms you'll walk on Saint-Laurent black marble and you are likely to have a view of the Eiffel Tower from your bathtub. Bathrooms also offer heated floors, double sinks, bathrubs and rain showers. There's even a small flat-screen TV embedded in the bathroom mirror! Of the 100+ rooms, 37 offer terraces. 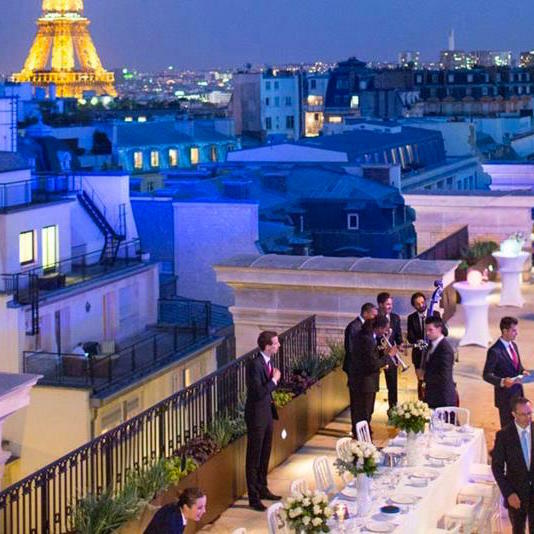 In fact, the terraces of the sixteen Eiffel Rooms (in addition to their views on the Tower) are well-sized to host a business reception or a party. 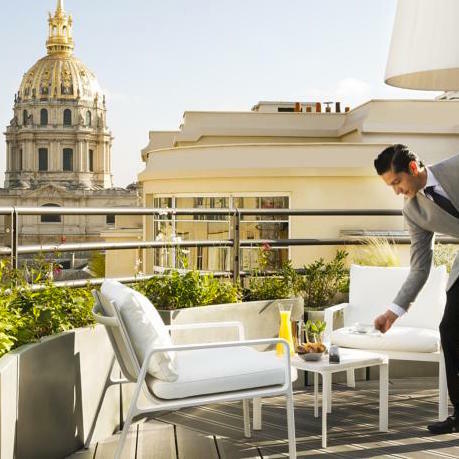 All rooms are equipped with Nespresso coffee machines, so it's lovely to spend the morning on your terrace with a cup of coffee overlooking the city. 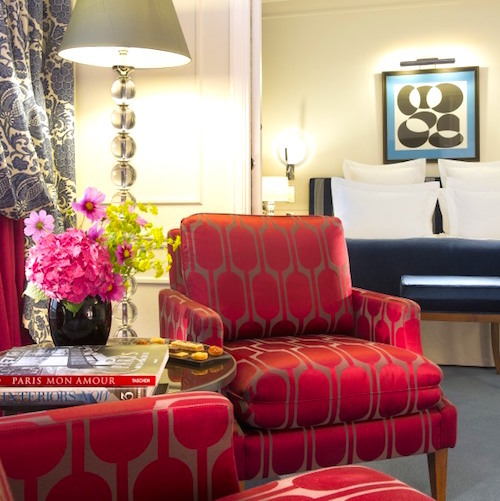 Furnishings are custom-made for the hotel out of the highest quality materials. You'll also find Ming vases, original tapestries, hand-tooled metalwork and every other detail you can imagine that adds to the overall effect of luxury and comfort. 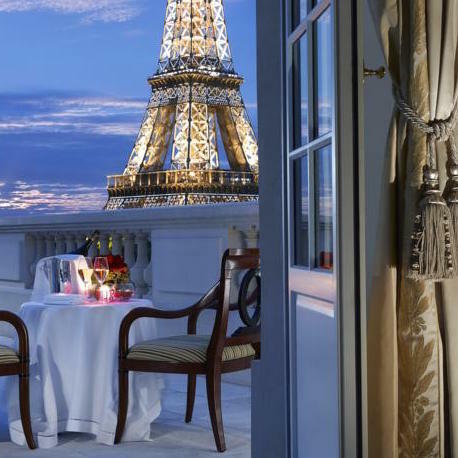 If you really want to splurge, check into one of the 2,400 square foot penthouse suites, each with its own 1000-sq-ft terrace and dining room.